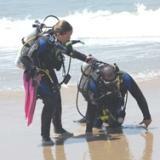 The SSI Stress & Rescue Diver (SRD) is often described as a diver’s favorite certification. This course will greatly expand your knowledge and experience level: Stress & Rescue Divers learn to look beyond themselves and consider the safety and well-being of other divers. Although this course is serious, it is an enjoyable way to build your confidence. 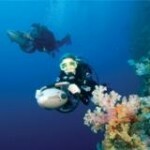 The SSI Stress & Rescue Diver course is typically only taught in open water. Weaver’s adds a pool session schedule to ensure you are well trained prior to entering the open water portion of the course. You can enroll in the Stress & Rescue Diver Course as a certified Open Water Diver (or have a qualifying certification from another training organization) and participate in the Stress & Rescue Diver knowledge development and rescue training sessions (in confined water only) while working on your Advanced Open Water Diver certification. To participate in the rescue training sessions in open water you must be certified as a SSI Advanced Open Water Diver or have a qualifying certification from another training organization. 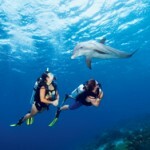 Divers must have successfully completed a sanctioned CPR program within the past 24 months. The SSI React Right certification meet these requirements. Pool sessions – Immediately following classroom sessions. Typically scheduled immediately following the pool session – we will try to accommodate your schedule.